Isla said log on so I did! Isla said “log on” so I did! Now concentrate this time, Dougal. 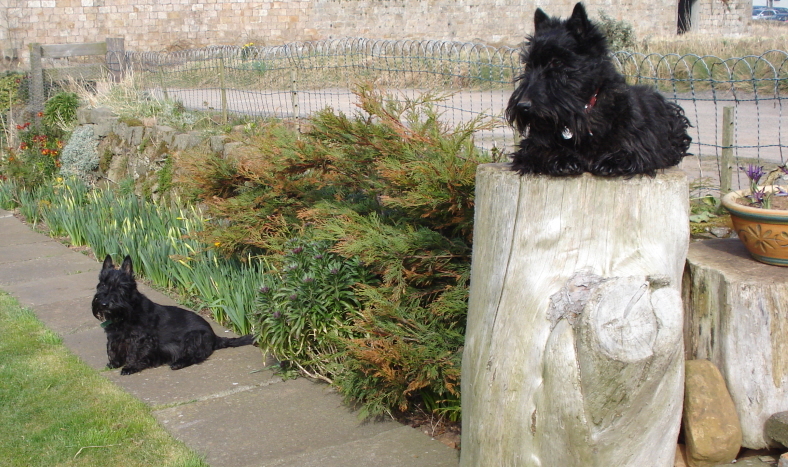 This scottie is very small -the other scottie is far away-small, far away! This log defiantly looks like a pig from up here. No one’s having my caber! I say you down there, any chance of a cuppa? Now if only I could remember how I got here…. I’m on 1st watch, now stand down officer scott! Who says Scotties aren’t top dogs. Who put you up there ?? Ahoy there, looks like dinner’s on it’s way! Don’t distract me, i’m on cat watching vigil. I’m going to tell you a tall story. Okay, I’m in season but I have a headache. Congratulations, Archie, such a brilliant caption. I guess you may have had a wee bit of help from Jim. I bark he writes and jumps as high as I say!